Nick Smith, who succeeded Euan Hamilton as the head of the Bank of Cyprus’ restructurings and debt recovery department, sees non-performing loans (NPLs) at tipping point as the bank mulls big loans syndication. BANK of Cyprus’ head of restructurings and recoveries said that the lender is at a “tipping point” in reducing bad loans after the pace of restructurings picked up in the second quarter and is considering reducing its exposure in larger loans through syndication. The bank saw for the first time in the second quarter a quarterly drop in 90-days-past-due (90 plus) loans by over €50 million, while the pace picked up in July to September and is further expected to do so in the remaining months of 2015 and in 2016, Nick Smith, a former KPMG and Royal Bank of Scotland executive, said in an interview on Friday. He predicted more “announce-able developments in the next four weeks. “In the second quarter there was a positive movement in Cypriot 90 plus but quite modest,” said Smith, a British national who joined Cyprus’ largest lender in August, in his first interview after his appointment. He succeeded Euan Hamilton, the executive who oversaw the creation “from scratch” of a specialised restructuring and recoveries division at the bank after taking over in late 2013. “Even though the official non-performing exposure levels will not change for about a year, those who today dismiss the progress made, will no longer be justified in doing so,” Smith said. Smith said that the drop in the bank’s mammoth delinquent loan portfolio resulted from a combination of factors, including the adoption of controversial legislation which aims at speeding up foreclosure procedures as well as a successful learning process at the bank. 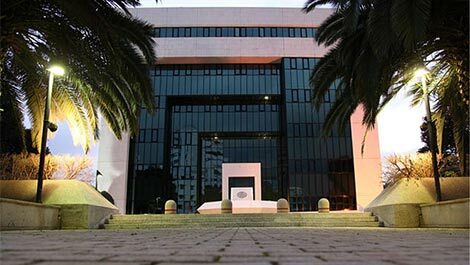 Bank of Cyprus, which generated an after tax loss of €261 million in 2014 mainly on increased provisions related to its operations in Russia, saw its non-performing loans drop to €14.2 billion or 62 per cent of its gross loans in September from almost €15 billion or 63 per cent in December. The drop was also a result of disposing of Uniastrom, its loss making Russian unit. The bank’s 90 plus-days-past-due loans fell from almost €12.7 billion or 53 per cent in December to €12 billion or 52 per cent in September, when the bank announced an after tax profit of €73 million. Smith added that following the adoption of the law that allows banks to sell loans to third parties which – together with the foreclosure law – was part of Cyprus’ €10 billion bailout terms, the bank is considering selling some of its larger exposures “in order to diversify risk”. “That’s what we are doing with our major borrowers in particular, agreeing conditions under which we can syndicate our exposure and it’s important for us as a bank,” Smith said, adding that it was a practice applied by lenders in Europe. Whether the bank does proceed to sell loans to third parties is “dependent on the appetite of international investors” which in turn other factors determine. These include the Cypriot economy’s outlook, investors’ trust and faith in the Cypriot political and legal system, including the foreclosure and insolvency legislative framework, “and importantly the price they are willing to pay because we are not in the game of seeking to offload loans at any price,” he said. “It’s damaging for our balance sheet and to be honest, we have structured deals in such a way that they are sustained,” he added. “They are supportable by the cash flows of the businesses we are lending to and we will get deleveraged over time. Either option is appropriate for us”. As for himself, Smith said that he has a mixed faith in the Cypriot political system. “I’ve seen good things happen that have helped me do my job,” he said. “Some of the things they are doing about tax, transfer fees are hugely helpful to both attracting international investors and me in executing restructurings. The foreclosure law did take quite a long time to come in and as we sit today it’s been frustrated by processes that should have been ironed out from the start”. The Bank of Cyprus executive reiterated that while the lender is not intending to foreclose on principal residences, it is not guaranteeing that it won’t do so if borrowers fail to cooperate. “From my perspective, it comes down to cooperation, and if people are being open and honest and are showing us what they are being paid or what they are not being paid, they are being honest with household expenses and share how they need to live and survive, then we are not going to start foreclosing those people,” he said. “If people are misbehaving or giving us no information, then I am never going to say never to those and you wouldn’t expect me to. “The current strategy of non-engagement is a flawed strategy for borrowers, because while we can wait and have patience, we ultimately need to make a decision on all of the borrowers and it’s far better to make that decision on an informed basis with good information than it is to make that decision on an uninformed basis applying guesswork,” the British banker said. For the time being, the restructuring deals the bank has made with its customers “are performing pretty well” while the bank has encountered an increasing desire among non-paying borrowers, including “big guys and little guys” to cooperate. Smith said that while the restructuring of the facilities the bank’s top 30 borrowers, which account for more than one third of its non-performing portfolio and therefore are treated with priority by the bank, is making progress, the procedure is complex and time consuming. Even in the UK, large restructurings may often take up to 24 months and are not completed until actually implemented, he said. “I break down the discussions we have had in two areas,” he said. “One is reaching a commercial agreement on how you restructure facilities, and the second is how you document that commercial agreement in a much more robust way than has ever been done before in this market. We found the first part of that was reasonably easy to get to. The second part has been harder. “You have to be careful when you are setting pace because you can do things quickly but you can do things wrong,” Smith said. “And if you do things quickly and wrong you end up having to do them four, five times”. Please read the comment guidelines. Comments failing to comply with the guidelines will not be published. Sell the loans to debt recovery companies and take what money you can now. Draw a line under the write-offs and move on. So simple it happens in so many countries in so many businesses. Leave the debt recovery to professional companies to chase the loan holder, guarantor and indemnity provider, and get back to banking which is where you should be. You don’t see a sweet shop servicing cars, in the same way banks shouldn’t chase NPLs. And the fact it’s a third party not a friend or cousin chasing will make the difference. I suspect a recently re negotiated NPL is classed as a PL. Then in 3 months time it becomes an NPL again when payments are missed. Quote Nick Smith “The foreclosure law did take quite a long time to come in and as we sit today itâ€™s been frustrated by processes that should have been ironed out from the start”. Just about sums-up the whole of Cyprus legislative procedures.